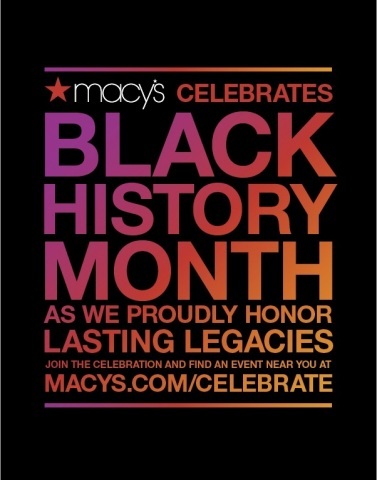 NEW YORK--(BUSINESS WIRE)-- This February, Macy’s will celebrate Black History Month by honoring the cultural trailblazers of the past as we explore the impact they have had on the present. Leaders such as Dapper Dan, Oscar® nominee Ruth E. Carter, Hip Hop Chaplain, Sir the Baptist, Fantastic Negrito, among others, continue to inspire hope and encourage audiences through their accomplishments in areas including music, art, film and fashion. Throughout the month, Macy’s customers will have the opportunity to engage in stimulating conversations with these cultural pioneers about how they are continuing legacies in multiple disciplines. Special events taking place in Macy’s stores across the country will feature celebrity talent, performances and interactive activations.